Historically, research has accepted that roughly 4 out of 5 of those affected by autism are male but researchers are now recognizing that autism affects women and girls differently. This has resulted in chronic under diagnosis and females not receiving the help they need, with serious implications for their long term mental health and employment prospects. While this conference will feature recent research, it will focus on the experience and perspectives of women and girls with autism. In particular, discussion will focus on how future research into their needs could better inform the services and resources available to them. A panel of women with ASD, presenting their perspectives, moderated by Dr. Rene Jamison, University of Kansas. A panel of mothers with ASD, moderated by Dr. Grace Iarocci, Simon Fraser University. A panel of clinicians, moderated by Dr. Anthony Bailey, University of British Columbia, will explore their experience of working with girls and women and what they have learned about their special needs and how to meet them. Dr. William Mandy is a clinical psychologist and senior lecturer at University College London (UCL). His work aims to improve the recognition of autism, and to develop new interventions to help autistic people. He has a particular research interest in improving the identification and care of females on the autism spectrum, who are currently at high risk of going unnoticed and unhelped by clinical and educational services. He also studies sub-diagnostic autistic traits in non-clinical populations, and the role these can play in the development of a range of common childhood, adolescent and adult mental health problems. With colleagues at Great Ormond Street Hospital’s National Centre for High-Functioning Autism he has developed and trialled interventions to help children with autism transition from primary to secondary school, and to teach children about their autism diagnosis, with an emphasis on fostering their sense of self-worth and pride. In this talk, Dr. Mandy will share his research about the characteristics of autism in females, how this affects diagnosis, and ways of improving recognition, with a focus on improving clinical and educational practice. Dr. Mandy is a clinical psychologist and senior lecturer at University College London (UCL). His work aims to improve the recognition of autism, and to develop new interventions to help autistic people. He has a particular research interest in improving the identification and care of females on the autism spectrum, who are currently at high risk of going unnoticed and under served by clinical and educational services. Dr. Rene Jamison is an Associate Professor and licensed psychologist in pediatrics at the Center for Child Health and Development (CCHD), University of Kansas Medical Center. Dr. Jamison’s primary area of research focuses on females with autism, identifying key factors that contribute to social competence across development and interventions to improve social-emotional health. Dr. Jessica Oeth Schuttler is a licensed psychologist and clinical assistant professor within pediatrics also at the CCHD. She is the associate director for the Girls Night Out Program (GNO) and key collaborator on related research projects, community partnership, and training efforts to create more inclusive communities. She has experience working in schools, clinical, and community settings. Dr. Jamison established Girls Night Out (GNO) in 2008 with the goal of providing socially valid and meaningful interventions designed specifically for females with autism and related developmental disabilities. GNO’s mission is to empower girls and young women with and without autism. GNO takes place within the community and during activities that social or self-care care skills would naturally occur, along with trained, peer volunteers to ensure authentic opportunities for successful practice within realistic social settings. Most important GNO is fun, creating opportunities for social experiences and to build relationships and for a much needed Girls Night Out! 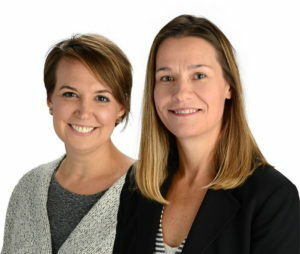 In addition to presenting, key elements of the GNO model that result in meaningful outcomes for girls and women with autism and their families, research will be presented that illustrates the effect of the discrepancy in diagnosis between males and females, a secondary impact on females with autism, possibly exacerbating social-communication impairments and risk for co-occurring mental health conditions. This entry was posted on April 5, 2018 by Stephanie Porter.